Taylor & Will - edit spaces. 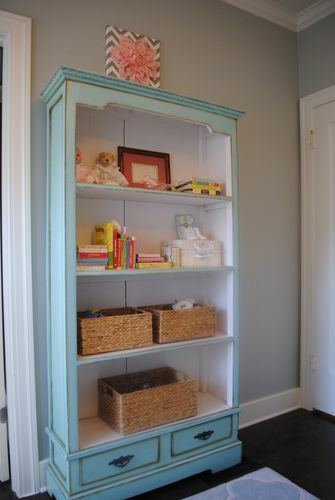 It was time to finally put those closets to work and find the right placement and containers for kid clothes and items in all states: wearing now, about to wear, saving for down the road. Taylor also knew she was due for a real purge so many donation and to-sell bags later, we began to put it all back together. 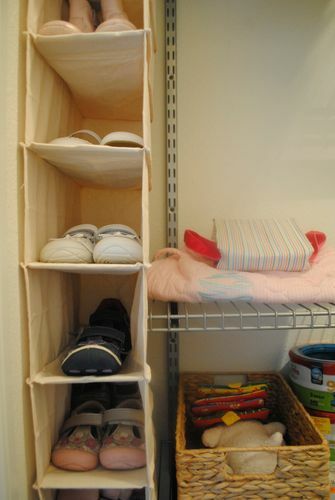 Shoes now hang vertically, hyacinth bins are used in both the closet and a cute bookcase, and everything that remains is both loved and needed. 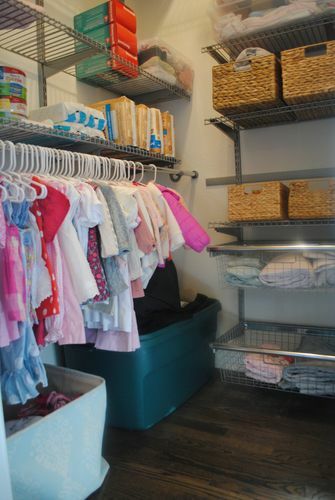 The effects of our closet edit spilled out onto other spaces—shelves were organized, surfaces cleared, must have items hung on the wall—and the results were great. Everything in its place once again!